If you are a property owner in the Bath area who is looking to optimize their woodland areas, one of the best things you can do is hire a professional forestry management service that has the skill and experience necessary to help you make the most of your property. Here at Stillwater Forestry, LLC, our team of Bath forestry management experts can provide you with the comprehensive range of quality forestry services you need to keep your woodland property looking its best season after season. Has your woodland property seen better days, or are you just looking for a bit of help in clearing out your old, dead timber in order to make room for new growth? Whatever the case may be, you can count on the team of Bath forestry management experts here at Stillwater Forestry, LLC for the forestry management services you need to keep your woodland areas clean, healthy, and thriving year after year. Here at Stillwater Forestry, LLC, our team of Bath forestry management experts have been helping local property owners with their service needs since 2007, and we are just getting started. From boundary maintenance, to timber harvesting, and even wildlife habitat improvement, our team of forestry service professionals can help you achieve any and all of your goals for your Bath woodland property. If you have any questions about our full line of comprehensive forestry services, or if you would like to schedule an appointment for consultation with one of our specialists, give us a call today. Our team of experts are standing by and would be more than happy to assist you with any questions that you might have. One reason that many property owners choose to invest in woodland property is that it can actually be an investment that pays back over time. Do you know how much the timber on your property is worth? 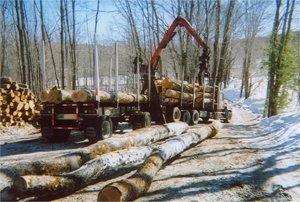 If you have always been curious, or you are planning on selling your timber harvest in the near future, and need an accurate assessment of its worth, our team of Bath forestry service professionals can help. The value of your property's timber is usually determined by a number of different factors, including how many trees are on that parcel of land, as well as the prices garnered by recent harvests in the market. Our team of professionals can help you access and compile all of this information, including information about the quality, quantity, size, and type of timber, and help you calculate a fair market value for your timber. Are you looking to improve the suitability of your property for wildlife habitation, or are you looking to create a habitat for a particular type of wildlife? If so, our team forestry management professionals can help you do so with our wildlife habitat improvement services. Our team of experts can walk you through the process of finding what types of wildlife your property is suited for, or you can tell us what type of wildlife you would like on your property, and our team of professionals can offer advice and guidance on whether or not it will be a good addition to your property, and how to do it. 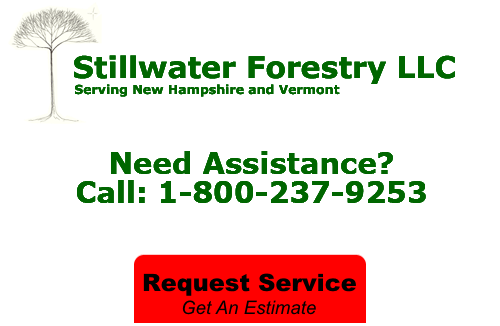 If you are looking for a forestry management professional in Bath, NH, give us a call today at 1-800-237-9253 or fill out our online request form.